Since the launch of ipDTL in 2013 - and with the growth of podcasting - the market for USB microphones and audio interfaces has exploded, and continues to evolve at a rapid pace. 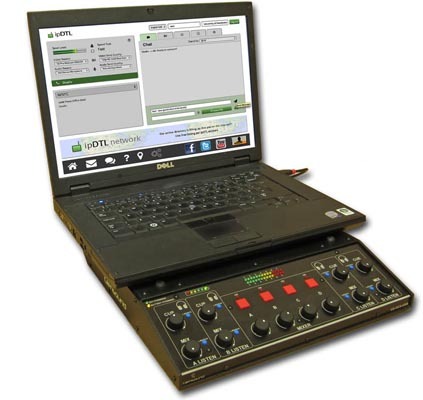 A suitable mic is crucial to the performance of ipDTL or indeed any live broadcast technology. Here are some of the best USB devices currently available. They all include a headphone socket for 'Zero Latency Monitoring', which allows you to monitor your own voice without any digital delay, as well as ipDTL's incoming audio. 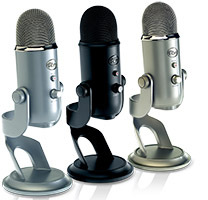 Aesthetically pleasing and well constructed, this USB condenser mic gives the Blue Yeti a run for its money. You can attach it to any stand or arm but the box includes a desk stand and a pop-shield which is a real nice touch, as is the ability to balance the headphones between your voice and the remote feed. 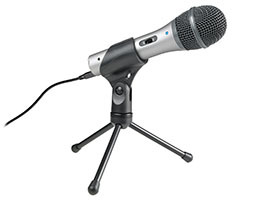 It’s hard to find a decent handheld USB microphone, but this is reasonable. The quality is good with no audible hiss, but its lightweight construction and on/off switch make it feel a bit cheap. It comes with a token folding stand but you might want to detach the clip and screw it onto something more substantial. If you’re using it hand-held, be careful that the USB cable doesn’t fall out as simply plugging it back in won’t get you back on air! It also has an analog XLR output. If you’re doing a remote broadcast or live report, the chances are you’ll be wanting a handheld microphone. We’ve yet to find one with USB support that really takes our fancy. 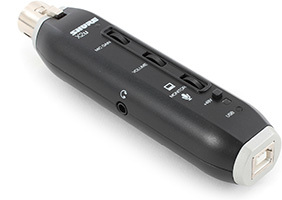 Thank goodness then for the Shure X2U – a USB pre-amp that turns any microphone with a standard XLR connection into an ipDTL ready affair. There’s a gain control built in but do start with the input level set low in your PC. 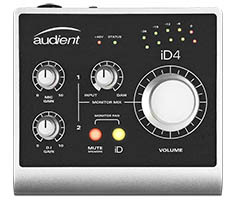 The Audient ID interfaces range from the compact ID4 with one microphone input, to its bigger sister, the ID44. The ID44 has the benefit of two headphone jacks with independent controls, which makes it ideal for a radio contribution studio. Blue were ahead of the game with the Yeti, but there are now some strong competitors. It has a rich warm sound and a built-in desktop stand. We recommend using the cardioid (directional) setting but it can also do stereo, omni and bi-directional. It’s heavy and rather delicate so is ideal for the home or office but cumbersome on location. 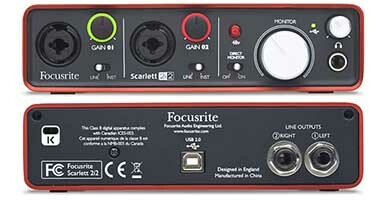 A neat USB powered device which will connect to your existing mike or sound board with little effort. The Solo version is fine for sending one microphone but we recommend the 2i2 with its balanced outputs for anything more. 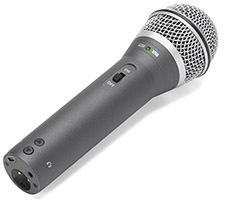 Similar in design and features to the ATR2100, the Q2U is a reasonable mic for the money, especially as the box includes a pair of headphones, a stand and an XLR cable. We have known a few of these fail out of the box or after some use though so beware. Also, be sure to avoid the earlier Q1U which has a hiss on the output. Glensound were making audio hardware before we were even born. For years, their GSGC5 ISDN codec has been the industry standard kit for remote contributions. As we know, ISDN is on its way out and Glensound’s response is refreshing. They’ve taken their classic kit and replaced the ISDN codec with a USB interface for direct compatibility with ipDTL. Meanwhile, those ISDN cables in sports commentary boxes can be easily converted to broadband internet – just talk to your telecoms provider. Control up to four microphones and headphones individually with the safeguard of built-in compressor-limiters.